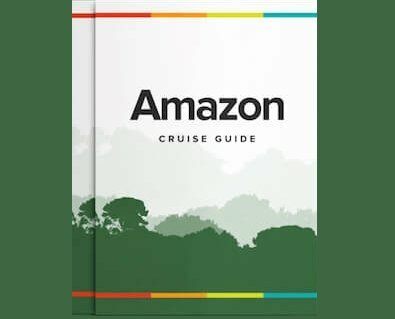 This 6-night riverboat cruise gives lucky passengers a comprehensive Amazon experience and a true taste of what life in the rainforest is like. Explore the Amazon, Marañón and Ucayali Rivers and discover the natural beauty of the Pacaya-Samiria National Reserve on this epic river adventure. Please remember the itinerary below is dependent on the river water level, weather conditions, wildlife behavior, and accessibility to locations, so may vary. After a delicious breakfast, we head for the black water stream of San José de Zarapanga called Shiriyacu to fish for piranhas, using traditional and local techniques, you will be surprised by the many ways there is to fish. After breakfast on board we disembark in Nauta and begin retracing our steps. On our way from Nauta back to Iquitos airport, you will visit the Rescue & Rehabilitation Center of River Mammals (ACOBIA) where you will have the chance to meet baby manatees and learn about these wonderful and docile creatures and why they are on the endangered species list. You will also have the chance to pet and feed these kind manatees. There's even time for a brief city tour around Iquitos to see the famous houses dating from the rubber boom era, such as the Iron House, Belen Market and more. Our land personnel will wait with you at the airport to assist you with departure formalities. Check-in at Iquitos International Airport before noon. We truly hope that you enjoyed your Amazon experience with us!